Traditional online marketing tactics are not working for many reasons. Average click-through rates for display ads is decreasing, and more and more consumers are using ad blocking technology. This is a big challenge for online marketers and brands are looking for alternative methods of marketing through Influencer Marketing. YouTube is the best platform for marketing not only for it is the second largest search engine in the world, but it also has over one billion active users every month. A site is a great place for creators as well as the brands. YouTube influencer marketing rise helped the brands understand that they need to shift the focus. 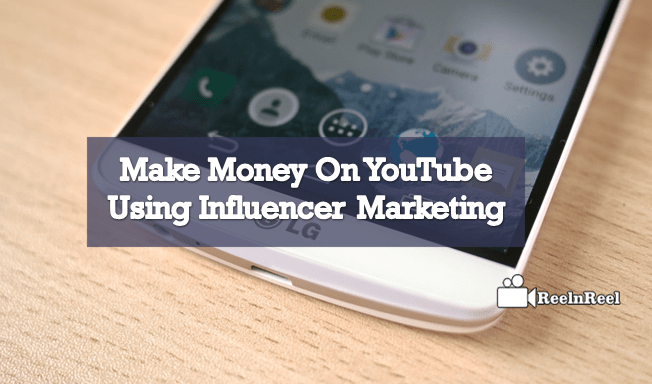 How influencers make money with YouTube influence marketing? Influencer marketing is defined as the process in which individuals who can influence specific target audience or medium are identified and activated to be a part of the marketing campaign of the brands with the goals of increase brand reach, boost brand awareness, sales and engagement. Audience trusts the brands that their favorite influencers promote. Influencer marketing is more effective than direct marketing. People prefer YouTube influencers than traditionally popular celebrities for product endorsement. There are many benefits that brands can get with YouTube influencer marketing. Benefits are based on the goals set for the marketing strategy. These include the brand awareness, authenticity, building trust and client acquisition and sales leads. The first step to launch influencer marketing on YouTube is to find the right influencers. Top influencers accept offers that come through the agencies they work for. This is the right way for people who have the budget to spare. Let us see the other ways to contact YouTube influencers. YouTube influencers usually share their email addresses in their about sections. There is no guarantee that the message sent is read by them or they will respond to them. Using an influencer marketplace is beneficial as we can be able to see their past projects and the reviews they got from others. It is also possible to see the number of subscribers they have and the total number of views. Influencer marketing is very valuable in the marketing strategy. Choosing the right influencer is important to reach the goals of influencer marketing. Mistakes should be avoided when choosing the influencer. Do not just look at the number of subscribers and video views of the influencer. Also consider other metrics such as engagement, relevance, reach and consistency. Do not approach influencers without having a marketing strategy. Define the goals of the strategy before choosing the influencer. It might be to boost site traffic or increase brand visibility. Influencers can be expensive. Therefore keep in mind your budget before choosing the influencers. See that the quote of the influencer meets your budget. Negotiating is normal in influencer marketing and so do not hurry. Influencers are very important for YouTube, and they brand value to the brands.A healthy relationship between the brands and the influencers is beneficial over the long term. Here are some best practices to make money using influencer marketing on YouTube. Influencer marketing campaigns will not be able to hold the attention of all the followers of influencers. Most of these campaigns also require a compelling story to get maximum benefits. YouTube influencer marketing content should be creative. Brands who decided to work with YouTube influencer, they should not consider the following they have, but they should look for the one that fits in with their brand. Small and upcoming influencers may also have the more engaged audience. Brands should respect the contribution of the influencers. Influencers decide work with the brands only if the brand is relevant to them and their audience. YouTube influencers spend hours to create content that their audience wants and to ensure that they meet the expectations of the audience. To get more benefits, brands should give creative freedom to the influencers. They just should give the context and guidelines and allow them to create the content because influencers better have the understanding of what their audiences want. Before going live with the campaign, review the content. After publishing the YouTube video, promote the video. Make sure that the right calls to action are included in the video so that people keep clicking it. Pay the YouTube influencers fairly and competitively. YouTube creators usually charge based on the subscribers they have, engagement rates and average views per video. Following the above steps will ensure that the video created is a winning collaboration. People trust YouTube influencers more than the brands. Influencers connect the companies to the consumer. They suggest or recommend products on behalf of the companies. There are different income possibilities for influencers. They can make money by creating high-quality videos for promoting business or products or services through YouTube videos. YouTube influencers can help to boost and existing brand or build a brand from the ground up. Influencers can help in reaching a wider target and can be effectively used to tell the brand story and also help in making money. Working with YouTube influencers is worth the investment and effort. Choose the influencers to work with carefully and give them freedom in content creation. Influencer marketing suits every brand if done well.